I live and work on a farm in Saskatchewan with my husband, Colin, and our 3 kids. Colin is a dry-land grain farmer. That means we don’t irrigate but just watch the sky and mumble under our breath all summer waiting for rain. He grows cereal crops (wheat, durum, barley, corn), pulses (peas, lentils, chickpeas), and oilseeds (canola, flax, camelina, hemp, soybeans). My pictures probably look odd to those of you who farm because Colin intercrops most of his fields. This means he mixes different crops within a field to get the most out the symbiotic relationship. I operate a couple of small greenhouses. We grow lettuce, herbs, tomatoes, and cucumbers for our local markets. The veggie farming is new – just started in 2013. Greenhouses are NOT common in this part of Saskatchewan so we have had a lot to learn and more than a few curious neighbors stopping over. 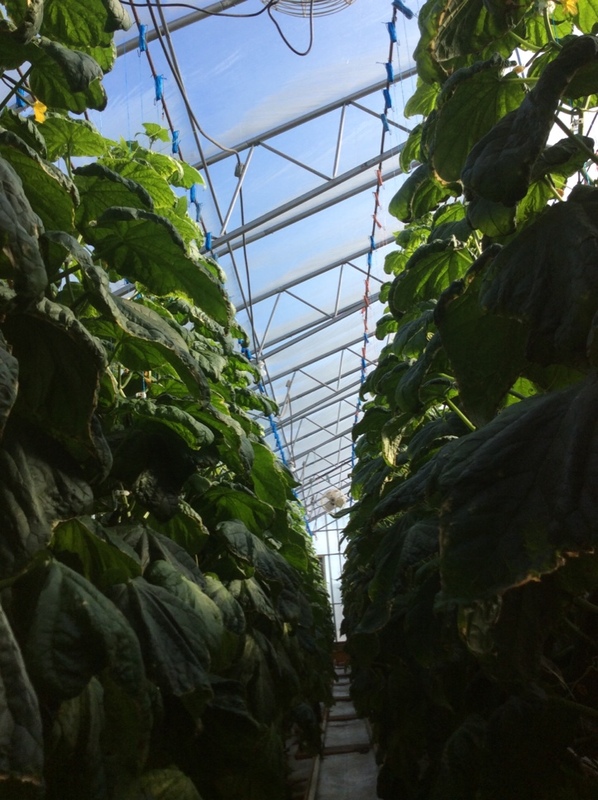 The best thing about starting our greenhouses has been connecting with people who don’t farm. Talking to my customers has shown me just how interested people are about their food. Together, Colin & I raise commercial Simmental cattle. 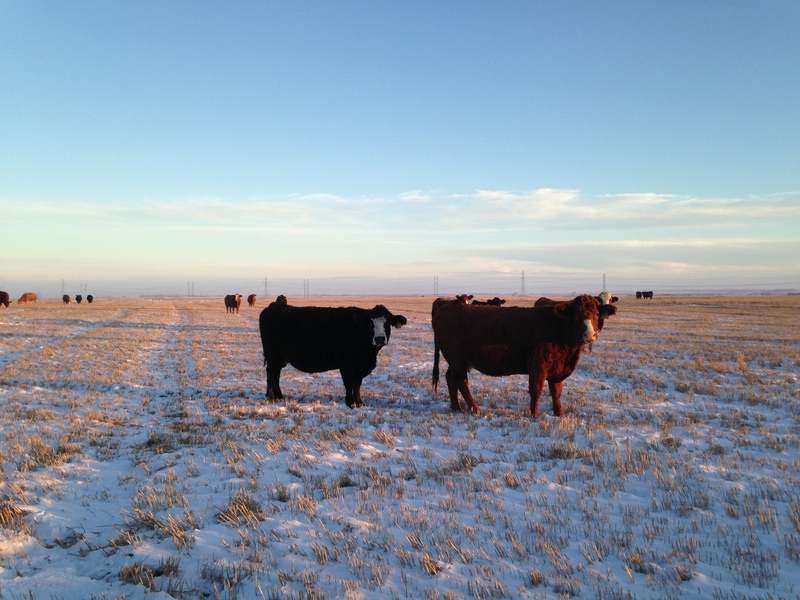 Beef cattle are common in this area and are an asset to the grain farm because they ensure we make use of all of the resources on the farm. We calve in early spring (March & April) so watch our posts then for cute pics and crazy (sleep deprived) blogs. I question why don’t more farmers use cover crops in their production as research shows it is better for soil, crop yields and the environment. Out of curiosity, how did you and your husband become early adopters to the practice and why don’t you think more farms invest in this practice? We have found that cover crops are not a simple straight forward tool to implement on the farm. I’m not sure how familiar you are with scientific research there is always a caveat in the discussion that says something like “this is what was observed at this time under these circumstances and extrapolation of results should be done with caution….etc. etc.”. In our experience, that sums up cover crops. They are certainly an interesting tool and the theory of how they can improve soil through nourishment of the soil food web is fascinating. However there is still SO much to learn. A short list includes: what mix of crops, when to seed, fertility, how to optimize the coverage while minimizing competition with the crop, grazing timing and intensity, how to get a return on the investment. Further, in our hands at least, they preform very differently under different environmental conditions. For the last 10 years of so we have had ample moisture in our area and so cover crops became of increasing interest. This year was a drought. 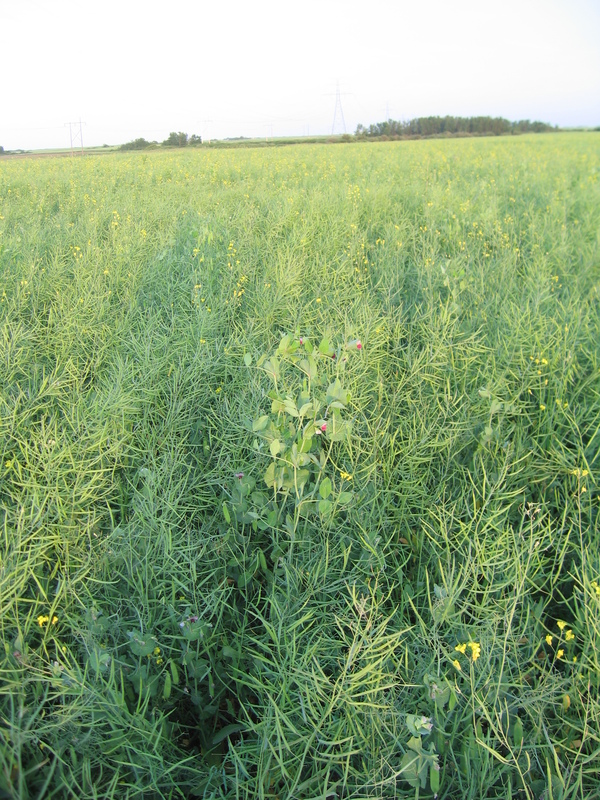 Cover crops were a very expensive lesson – both in terms of their lack of production but also in terms of the soil moisture condition that they have left behind. So, to answer your other question about how we got involved and why others don’t, it probably comes down to mindset. We tend to be risk takers and try new ideas where we can see validity in the science or theoretical application. Sometimes that makes us cutting edge – other times bleeding edge. We have an attitude on our farm that we are willing to fail to learn. Why don’t other producers use them? I’m sure there is a wide range of reasons. They might include farming in a different ecology / environment, a lack familiarity with the tool, uncertainty on where or how to apply them, or they see the risks as greater than the potential benefits. Every farm is very different. There are almost NO tools that can be cookie cutter applied to them all. Cover crops fit under that umbrella. On our farm I expect we will continue to experiment with them but after this year the scope of our experiments will likely be scaled back. Hope that helps. I would love to hear more about you, your background and why you are interested.